Brings about creativity and self-expression. Soothes the throat, eases the ability to speak out, heals throat center blockages, and clears this-life trauma held in the throat. Supports peaceful assertiveness, aids in shyness, promotes the ability to speak your needs. Blue Calcite has a trigonal cystal system and is in the mineral class of carbonate. It is formed from solutions containing calcium through sedimentation. Its blue coloring comes from minute quantities of Barite impurities that have seeped into the mix while the crystals have formed. While Calcite itself can be a very common find, especially in the US, generally the wonderful blue shades are found in Mexico and South America. As with most gemstones, Blue Calcite is best used when held or worn as a pendant at the throat. Its soothing energies are especially beneficial when laid in that area. Many have found this one to be very beneficial to hold during meditation. Blue Calcite aids the process of a peaceful change for the beginning of spiritual growth. It brings a quiet knowing of what is needed to proceed. Blue Calcite enables us to become comfortable in trusting our quiet inner voice and aids in our ability to calmly speak about our concerns. 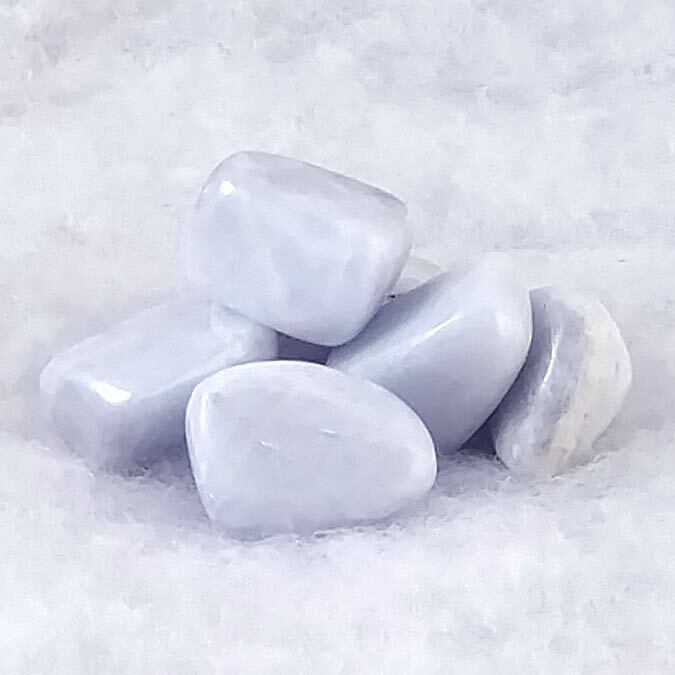 Blue Calcite will help to create our readiness for spiritual change and to be able to tell the difference between what is needed or no longer needed in that process of change. Blue Calcite aids in the purification process of finding our voice. Like other forms of Calcite, it can also balance the assimilation of calcium within the body. 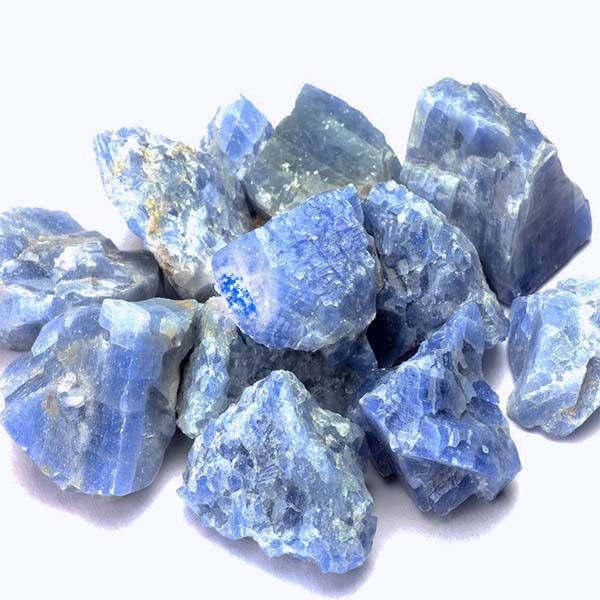 Blue Calcite has a special affinity with those in the healing profession, regardless of your sun sign. It has a Receptive Energy, its Planet is Venus and its Element is Water. Blue Calcite has long been used in personal Purification Ceremonies. It is generally worn when used for that purpose. It may also be placed in the center of five lighted purple or blue candles for purifying an area in your home or work space.